Best Road Races and the UjENA FIT Club is speaking with 100 people who we feel have a lot to say about running, racing and fitness We will give you background information as will as their insights into the future. Be sure to post your feedback and comments. The sport of Double Racing is about ready to Take Off! I’ve always loved the feeling of pushing my body to see how fast I could go and what time I could run. I have fond memories of winning the Junior Olympics half-mile in June 1963 back in my native Kansas. The feeling of dropping the field on the final turn is still fresh in my mind. I ran 2:08.5 that day, and I knew I wanted to run races the rest of my life. Nearly 52 years later I am not winning races anymore, but I am enjoying running them just as much. In fact, thanks to the Double, I am enjoying them more than ever! Little did I know when I created Double Racing® that I had stumbled upon a way to double the fun of racing, except with all the elements, nuances and strategy considerations present in the Double, it’s more like you triple or even quadruple the fun. I am totally excited about seeing many of you Saturday t the San Jose Double. Want to know how this all started? Here is the short story. Great interview, and story about The Double. I'm so proud to be a Double alum. Thanks Brad. See you at a Double in a few months! Maybe in OKC? Or at least in Overland Park in the summer! Chris Jones: "I like to look in the abyss and see how deep it goes"
The 2013 Ujena Fit Club Male Runner of the Year is the iron-willed, indefatigable Chris Jones of San Francisco, Calif., who ran and posted so many races during the year, including a ton of marathons and ultra-marathons, it seems like something straight out of Ripley’s Believe It Or Not! While Chris is not the fastest of runners (his best mile is 5:30), he is surely one of the most durable. A member of a group called the Marathon Maniacs, which encourages individuals to run a lot of races – maybe too many races, some would say – Chris ran and posted no fewer than 80 races on the Ujena Fit Club Website in 2013: 26 marathons, 26 ultra-marathons (seven of them being 100 miles or longer! ), plus 15 half-marathons and 13 races over shorter distances. A truly staggering feat – and that’s not intended to be a pun in any way! I asked our editor David Prokop to speak with Chris Jones, our male runner of the year. These insights confirms how amazing a feat Chris pulled off. Congrats chris!!! Glad to see you are racing well again this year. Chris, you're an example of hard work and dedication! A Local Boy Making Good! 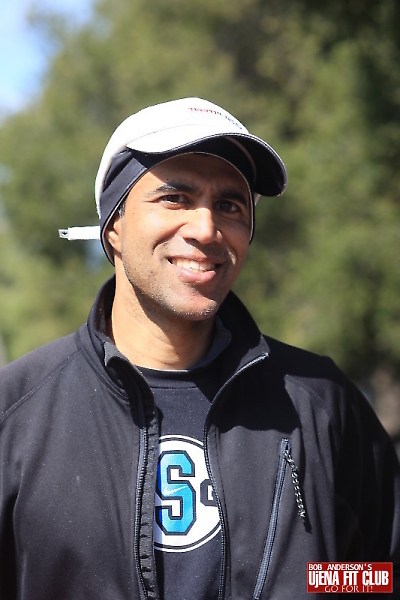 To ace marathoner Daniel Tapia, who grew up just down the road from San Juan Bautista in Salinas and now calls Prunedale home, the San Juan Bautista Double is almost a “home game” – and he plans to make it a good one! Daniel finished second in the Pleasanton Double in Pleasanton, Calif., last Dec. 23, the first Double Road Race™ ever held in America, so San Juan Bautista marks his return to the Double and he’s familiar with the strategic intricacies and physical demand of the event. Good luck Daniel in San Juan Bautista next Saturday...you know the course. It is fast and I think you have a shot at the world record!!!! Russia has a long tradition of producing fine distance runners, and that goes back all the way to the days of the Soviet Union. In recent years most of the better runners coming out of Russia have been female. Ever notice how many Russian women have excelled in the major marathons in this country? One of the best of the Russian women who have raced in the US is Liudmila Stepanova, who was second in the half-marathon at the 2009 Russian Championships in Moscow with a time of 1:14.51, and she’s even better and faster at the shorter distances such as the 5- and 10K! On Sunday, August 11 in the Indianapolis Double, Stepanova set a new world record in the Double Road Race™, posting an aggregate time of 52:38.6 (35:21 for the 10K and 17:12 for the 5K). Her aggregate time was almost 35 seconds faster than the previous record of 53:13.4, set by Molly Pritz in winning the Overland Park Double on July 30th. Molly had run 35:24 for the 10K and 17:48 for the 5K in Overland Park. I am really looking forward to the San Jose Double...here is an inside look at Liudmila who is running Saturday. Jason and Cynthia Dunn and their sons, Gavin, 13, and Regan, 9, make up a unique and inspiring family running foursome they call Team Dunn that grew out of a near ragedy when Jason had a heart attack at age 35! Looking good in their black and gold Team Dunn jerseys (“Those are the University of Missouri colors,” Jason Dunn, the dad, points out), they all ran the Overland Park Double in Kansas on June 30. Regan, the youngest in the family, set an age group record in completing the race in 1:07:20 (45:34 for the 10K and 21:46 for the 5K – at age nine!). His older brother and his dad finished together 3-4 minutes behind Regan on aggregate time, while mommy Cynthia was another minute or so slower. 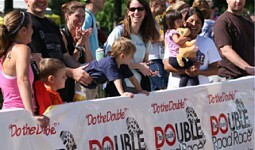 They’ll all be running in the Denver Double Road Race Sunday, July 21. This truly is a family that runs together and creates tremendous value from so doing. A family in which a father’s great health challenge became the catalyst for a life-changing and life-affirming fitness journey and bonding experience centered around running. Team Dunn is Jason, Cynthia, Gavin and Regan Dunn – “and we have a dog,” says Jason, a very bright, articulate man. “His name is Prefontaine (named after the late great American runner Steve Prefontaine). He’s a French Spaniel, and he’s a great dog – he’ll go out and run 15 miles with us if that’s how far we run.” Prefontaine, as yet, does not have a Team Dunn jersey. It was super meeting the Dunn family at the Overland Park Double June 30th. Excited that they will be joining us in Denver for the Double this weekend. Good luck to the Dunn family!!!! He became an Olympic hero and an American sports icon for eternity with his dramatic and (to most) totally unexpected victory in the 10,000 meters at the 1964 Tokyo Olympics. 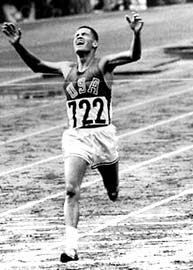 He remains the only American in history to ever win the longest track event in the Olympic Games. 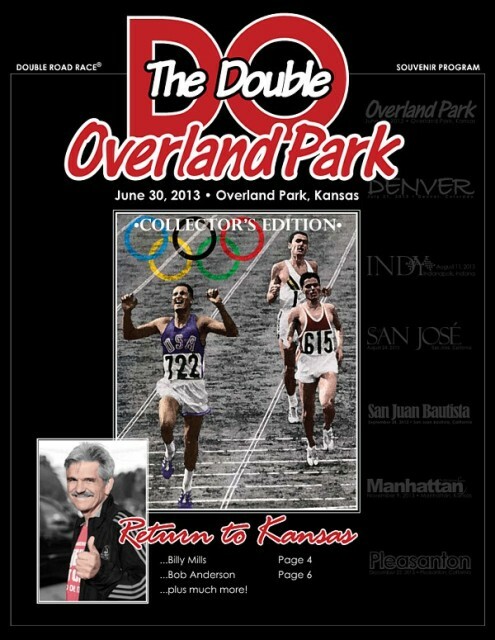 On June 30th, his 75th birthday, Billy Mills will be back in Kansas, which served as the launch pad for his run to Olympic glory in Tokyo almost 50 years ago, as a special honored guest at the Overland Park Double. Although Billy was born and raised on the Pine Ridge Indian Reservation in South Dakota, his running career essentially began in Kansas. After Billy’s father, Sidney, died at age 49 when Billy was only 13, leaving him orphaned (his mother, Grace, had died when Billy was eight), he was sent off to Haskell Indian High School, a boarding facility, in Lawrence, Kan. His older brother, Walter, and his sister, Ramona, had previously attended the school. At Haskell he started running. He failed to make the cross-country team his freshman year, but he improved so dramatically as a runner he was undefeated in cross-country his last three years at Haskell. He ran 9:28 for two miles in his sophomore year, and by his senior year he had brought that down to 9:08, which got him a scholarship to Kansas University. All this despite the fact he had a medical condition no one knew about (including him) which could wreak havoc on any distance runner’s progress and performance if left unaddressed. At Kansas University the running career of the tall (he’s a shade under 6’0”), slender young distance star sputtered. To be sure, he was a fine cross-country runner. For instance, as a sophomore he was fifth in the NCAA Cross-Country Championships – and the first American! 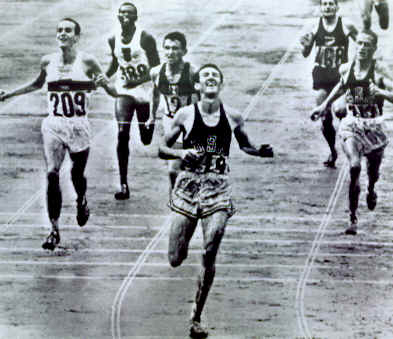 – behind the race winner Al Lawrence of the University of Houston, who had won the bronze medal in the 10,000 meters at the 1956 Melbourne Olympics. Indeed, Billy was either first or second American in the NCAA Cross-Country Çhampionships his last three years at Kansas. I have not seen Billy Mills for over thirty years. It is so exciting that he will be joining us June 30th at the Overland Park Double Road Race. He will also be celebrating his 75th birthday on that day too! Dave, great story. I met Billy Mills in 1984 when he came to KC for Hospital Hill Run. Can't wait to see him again. "Running is my life. 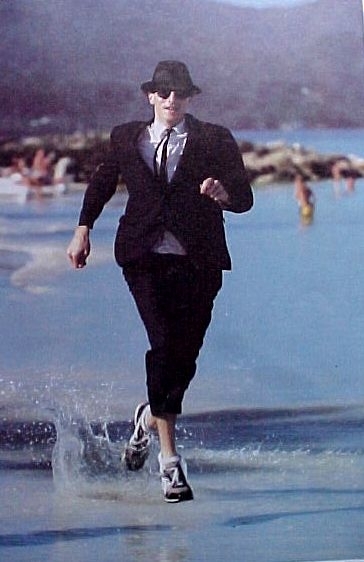 I will keep running to inspire the masses" he says. The world's oldest marathon runner ran his last race on Sunday Feb 24, 2013 at the age of 101. Fauja Singh, who lives in Ilford, East London, finished the Hong Kong 10-kilometer (6.25-mile) race in 1 hour, 32 minutes, 28 seconds. 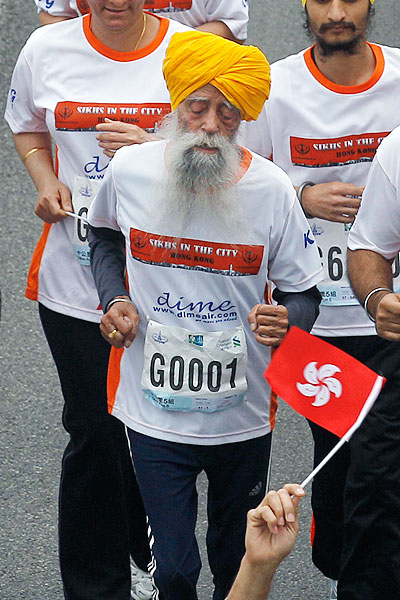 Singh, a Sikh with a saffron turban and a flowing white beard, followed the route along the northern lip of Hong Kong island. What a feat! I also had a friend Larry Lewis who ran 6 miles a day for years up until he died at the ripe ole age of 106. Now he was awesome. I remember Larry...I agree, he was awesome!!! I saw Larry running in Golden Gate park once back in the 1970's. He was moving along. 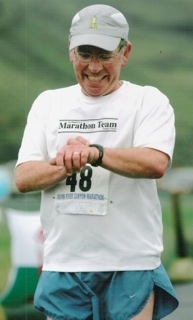 As a geologist working with several international oil companies, Peter Mullin has spent decades essentially looking for oil, but now it turns out he’s found gold as a Masters runner in the 60-64 age group category. 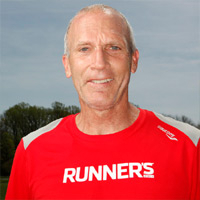 The 2012 Ujena Fit Club Male Runner of the Year, the 62-year-old native of Northern Ireland who’s lived in Houston since 1999, is the current U.S. champion in his age category in the 5K and the Half Marathon on the road and the 10,000 meters on the track. He ran 17:45 in the 5K to finish first in his age category at the 20th Annual Syracuse Festival of Races in Syracuse, N.Y., last September 30, and clocked 39:50 (in 90-degree heat! 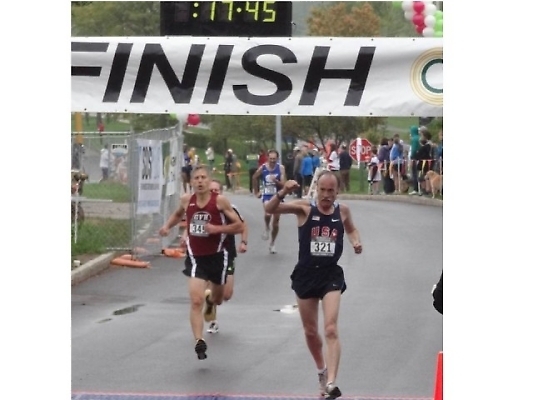 ), again fastest in his age category, in the 10,000 meters at the U.S. Masters Track and Field Championships in Lisle, Ill. (near Chicago) in August. And in 2013 he’s picked up where he left off last year by winning the U.S. championship (60-64 age group) in the Half Marathon, running 1:23:43 in Melbourne, Fla., on February 3, only a couple of weeks ago. More significantly, where the Ujena Fit Club rankings are concerned and how the Runner of the Year is selected, he posted no fewer than 22 races averaging 6:13 for a total of 146 miles. His average age-graded score for the year was 88.24%. Peter is one of the top 60-64 runners in the country. Peter Mullin from Houston is having an amazing year. He has already posted 19 races and leads our Fit Club Rankings with 5058 points. Dave Nevitt is second with 3931 points followed by Tyler McCandless. Who is going to be this year's Ujena Fit Club 2013 Male Runner of the Year? from Gary Funck Mark Covert is something of a celebrity in the running world. This week he hit 44 years, or 16,075 days in a row. It's the longest active streak ever recorded by the United States Running Streak Association. His closest competitor is Jon Sutherland, who's logged 15,768 days. British runner Ron Hill is believed to have the longest continuous streak in the world. Mark is second. 1. Why did you start running every day? I had no idea this was going to happen. The summer after I graduated, early in my freshman year of college, I realized I was in 100 days without missing one. I wondered if I could get a year in without missing. That became a little bit of a goal. That year turned to two, to three. At four or five years, I thought, this is a big deal. I include walking if running does not work for my streak. Not sure how Mark has kept this up. I can remember him way back when. Congrats Mark!!! My brother Bill Anderson is 14 on the Official USA Active Running Streak List...he has not missed a day of running (at least one mile) since Sept 27, 1976...way to go Bill!!!! 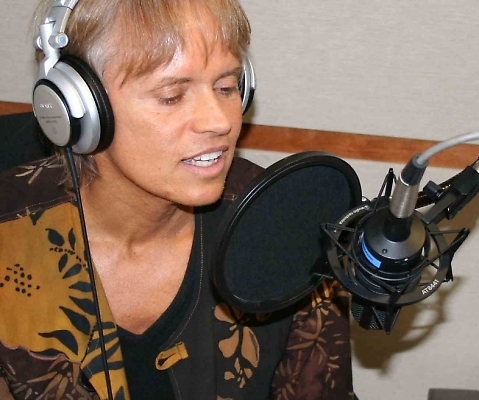 "I believe that running and performing well is 90% mental"
Dr. JoAnn Dahlkoetter, is CEO of Performing Edge Coaching International Association, and founder of Dr JoAnn.com. She is the author of the best-selling book Your Performing Edge, sports psychologist to Olympic Gold Medalists and winner of the 1980 San Francisco Marathon. She is an internationally recognized Olympic Keynote Speaker, columnist, and TV expert commentator. Thanks for doing this interview JoAnn...loved every word of it! "...proving oneself was nothing new to me." Amol Saxena lives by Gandhi's philosophy "Be the change you want to see in the world." Amol's practice specializes in Sports Medicine and Foot & Ankle Surgery in Palo Alto, California. He has pioneered several surgical techniques (including Achilles procedures). He is an international and nationally recognized surgeon, speaker and author, and has published over 100 articles. Dr. Saxena is the editor of “International Advances in Foot and Ankle Surgery” (Springer 2012). He serves on the editorial Board for Journal of Foot & Ankle Surgery and for Muscle, Ligament & Tendon (Italian). He is an instructor for the German Association for Foot Surgery. In 2004 Amol was awarded Humanitarian of the year by the CPMA. He currently has treated and operated on dozens of Olympians from around the world (including Gold Medalists and world record holders), and Olympic Trials qualifiers, numerous professional athletes including from the Nike Oregon Project, Golden State Warriors, San Francisco Giants and 49ers, and San Jose Earthquakes, and many top area high school athletic scholarship winners. Dr. Saxena is board certified/Re-certified in Foot and Reconstructive Rear-foot/Ankle Surgery (American Board of Podiatric Surgery), Fellow American College of Foot & Ankle Surgeons, American Academy Podiatric Sports Medicine (which he was presented the Barnes Award for outstanding research in 2011) , and serves as section Chief of Podiatric Surgery at Stanford University Hospital. 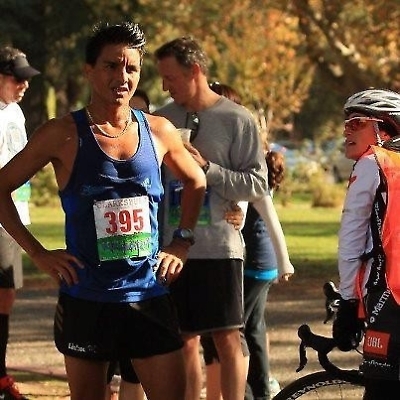 He has competed in several Boston Marathons and Duathlon (run, bike, run) World Championships. He is married to Karen and has three children. Thanks Amol...I am glad I only had to see you once at your office...but I know you are the guy to see if something ever happened to my foot or ankle...thanks for doing this interview! I really enjoyed reading it!!! 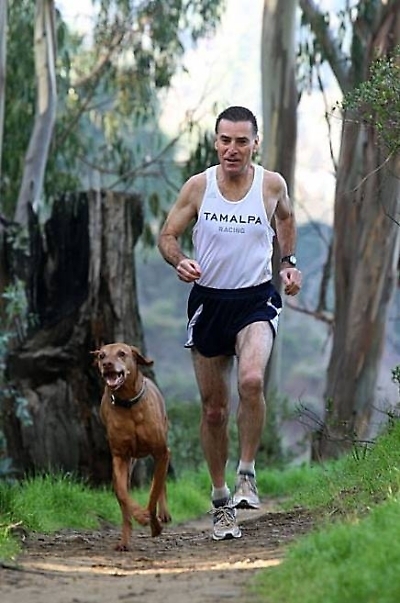 Gary Fanelli is a life long runner and racer. He started racing in organized events in 1961 as a 10 year old in the Philadelphia area where he was born and raised. Gary kept on running until he reached World Class level. 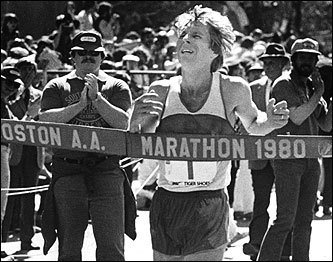 He participated in two US Olympic Marathon Trials and has a marathon best of 2:14:15 set in 1980 in Montreal. 1. Have you always been a wild and crazy guy? Growing up I had an unusually keen sense of humor... it runs in my family on my Mom's side aka Irish wit . I saw humor in just about everything. It got me in trouble in school. Sometimes my Mom would ask "Gary, how come you think everything is funny?" I'd answer "Well I don't know, it just seems funny to me." I enjoyed this interview...I wasn't sure what the real story was until now! Thanks Gary for sharing! Dave Rhody races are well known and are well organized and produced. 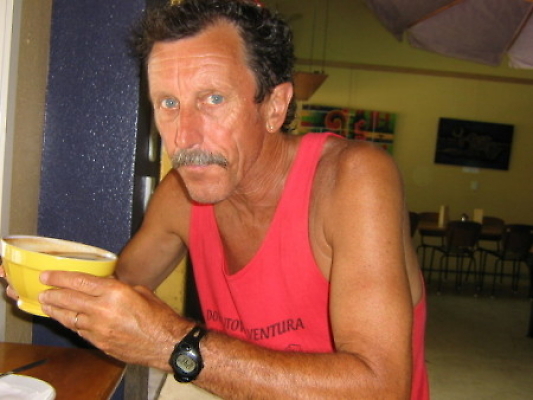 He was an avid runner logging in 80 to 100 miles a week including running to and from work. In 1983 Dave was taking a break from a nine-year stint as a social worker, and decided to wanted to run from Newport Beach to San Francisco a distance of 630 miles in 19 days. He was waiting tables at Houlihan's Restaurant on Fisherman's Wharf and along the way he stopped at various Houlihan's Restaurants on his route. This led to Dave deciding to produce his first race in 1984, the Houlihan's to Houlihan's race. Dave had a natural instinct for event production and his first event was a success with nearly 2000 runners and San Francisco 49er quarterback, Joe Montana was there giving out the awards. After a few more successful races, Kathy Henning joined Dave as a partner both in business and in life. 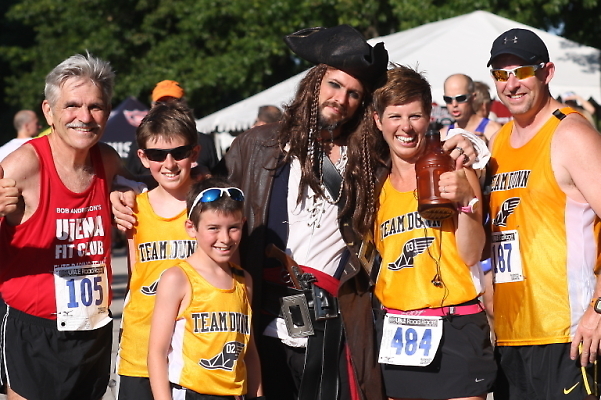 Over the last 28 years RhodyCo Productions have produced over 400 races with more than 1.5 million participants. "Whether I was racing or not, I continued to run almost every day." George Hirsch has been the New York Roadrunners Chairman of the Board since 2005. This non-profit $55 million dollar organization provides health/fitness programs for more than 100,000 children. Their most prestigious event is the New York City Marathon which George was a founder in 1976 along with Fred Lebow. After graduating from Princeton, George spent three years in the Navy based in Naples, Italy. He knew then that he wanted to be involved in international business. Upon returning to the states, he entered Harvard and graduated in 1962. He then worked at Time-Life International for five years but he wanted to do is own thing. He started New York magazine which became the prototype for countless city and regional magazines. He left four years later. This is when he founded New Times magazine. Even through circulation climed to 350,000, it was not making it financially and he ceased publication in 1979. George was a serious runner and had been reading Distance Running News/Runner's World from the beginning. He couldn't get enough. He thought the category could use a second magazine and he started The Runner magazine in 1978 and published it until he sold it to Rodale Press in 1986 merging it with Runner's World. In 1987 Rodale hired George to be the worldwide publisher of Runner's World, the world's leading running magazine with editions in 12 countries. He left in 2004 and became the chairman and Publisher of La Cucina Italiana, the English language editor of Italy's oldest and largest culinary magazine. Thanks George for sharing your thoughts with us. You have done much for running! "Running is and always has been very important in my life"
Gary Tuttle was playing basketball and baseball in high school until Jim Hunt asked him to join the cross-country team. 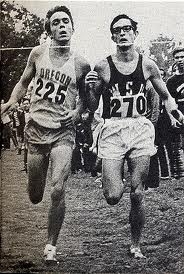 He followed Jim Hunt to Humboldt State University and Gary continued to improve his running skills. In 1968 and 1969 he won the Division II National Championship in the steeplechase. By 1975 he was the fourth ranked marathoner in the United States yet he never really considered 26.2 miles as his best distance. 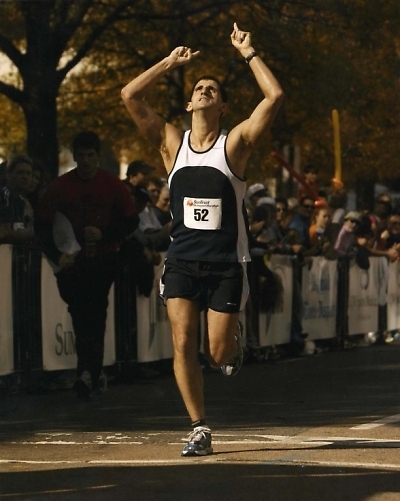 He was the first National Champion at 15k and also won the National Championship at 25k. In 1976 Gary placed seventh overall at the IAAF World Cross Country Championships. Gary started his Inside Track store in 1976 in Ventura, California. Gary's knowledge and devotion to the running community began Inside Track's long history with running and racing. Inside Track not only offered a place to buy running shoes and apparel, it was a place where local athletes could meet, run and have a great time traveling to running events together as part of Team Inside Track. Gary is only a couple of months older than me and we have battled it out several times at the Carlsbad 5000 over the last 15 years. He has beaten me each time but one. One year I out kicked him. It was a good moment for me. I think we both were 51 and it took a 17:19 to beat him. 1. Gil, you’ve run a bit on all terrain? I still consider myself a multi-terrain athlete and love all surfaces: road, track and cross country. As an elite runner I train every day, but I have been transitioning towards the longer distances. With each longer run my fears for the marathon distance have dropped notch by notch, but the nervousness is still there. "I was Not A Regular College Girl"
Ceci Hopp St. Geme started running in 1979 and loved pushing herself from the start. Within a year she gained national attention when she won the 1980 Kenney (now called Foot Locker) National Cross-Country Championships. There were several other girls who were favorites but she beat them all. Ceci grew up in Greenwich, Connecticut and now lives in Newport Beach, California with her husband Ed and their six children. Over the last ten years she has had good success coaching. 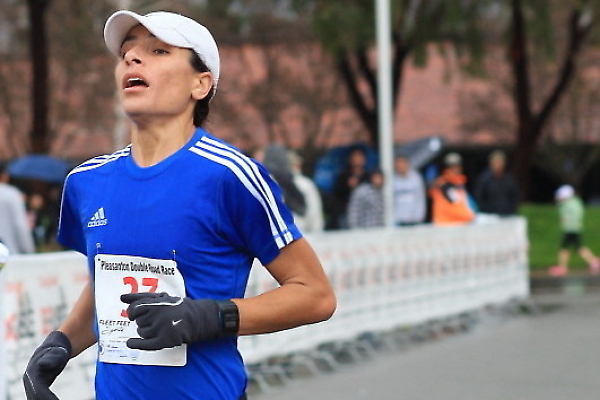 She is a premier master runner and is still capable of running sub 19 minutes 5ks at age 48. 1. You were a ballerina and tennis player before you joined your High School track team in 1979. Yes I danced for the Greenwich Ballet Company from age 6 until high school and wasn't quite flexible enough to take it to the professional level so I picked up tennis hoping to be the next Chris Evert...went out for indoor track my sophomore year at Greenwich High School to get in shape for the spring tennis season but realized I had more of a future as a runner. Back then it was an extracurricular activity to me to help me get into a good college.....girls in the 70's did not dream of getting athletic scholarships yet. By the end of my sophomore spring I was the CT State Champion in the 800 and ran 4:55 for a mile. Michael Dove did not start running until he was 38. At age 49 he set a world age group record in the 5k with a time of 15:36. He has finished first or second in his age-group over the last 27 years in almost every race he has run. 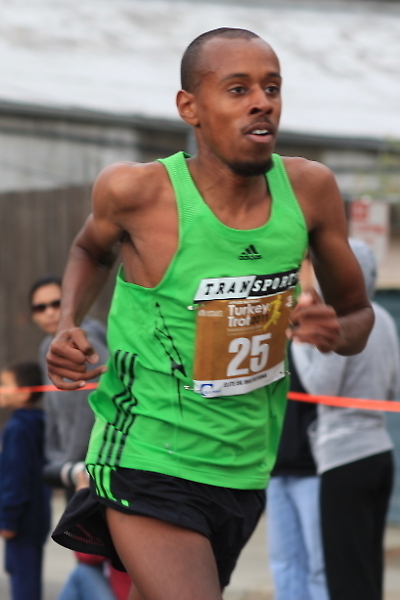 He has run a 2:48 marathon in Boston and holds the age division records at the Big Sur Marathon, his favorite race. He developed the Just Run youth program which is already reaching thousands of kids. He is very involved in the promotion and development of running nationally. He is a columnist for the Monerey Herlad on running, health and fitness and has published a book called The Running Life. 1. You are going to be 65 in a few months. How has running changed for you over the years? It really hasn’t changed very much. I started running regularly at age 38. If I don’t start my day with a run I feel out of sorts. I’m kind of a traditionalist and pretty much have the same running habits and workouts now as I did 20 years ago. I’m maybe a little wiser about training than I was then – but not too much. The biggest change is that I have been deeply involved in the race organization side for 15 years or so, as well as developing the JUST RUN youth program. I’ve become more of a running advocate over the years. A very informative interview. I did not realize how involved you are in the sport of running. You are certainly making a difference and your Just Run program was much needed in this country. Just love the way you end this, "Everyone deserves to be happy." Thanks Mike!!! I Just Run Because I Like Too! 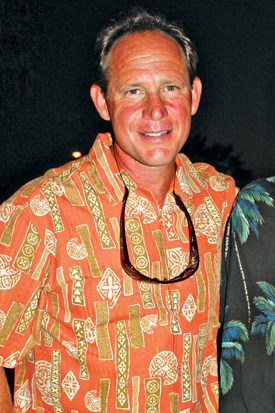 Hal Higdon is an accomplished writer of books and magazine articles. He has been a top class runner. He is currently providing training ideas to thousands. Hal Higdon has contributed to Runner's World since 1966. I wrote Hal in early 1966 and asked him if he would be interested in contributing to my magazine. I was just an 18 year old kid with a dream. He was already writing articles for Sports Illustrated. He wrote back and sent along an article that would appear in the second issue of Distance Running News (name changed to Runner's World in 1970). I will never forget this. He made my day. Author of 36 books, including a novel, Marathon, and the best-selling Marathon: The Ultimate Training Guide, now in its 4th edition, Hal also has written books on many subjects and for different age groups. His children's book, The Horse That Played Center Field, was made into an animated feature by ABC-TV. He ran eight times in the Olympic Trials and won four world masters championships. One of the founders of the Road Runners Club of America (RRCA), Higdon also was a finalist in NASA's Journalist-in-Space program to ride the space shuttle. 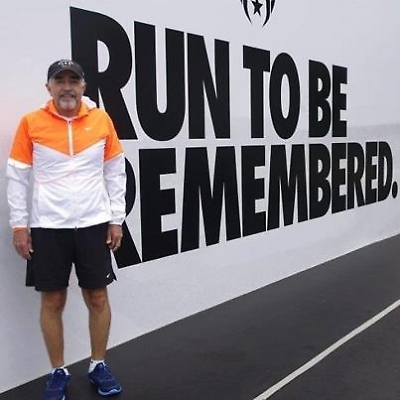 He has served as training consultant for the Chicago Marathon and Chicago Area Runners Association and also answers questions on his Virtual Training Bulletin Board. Hal has helped so many people be better runners and have more fun doing it. I have know Hal for nearly 46 years. He sent me articles for my magazine when I was like 18 years old and he was already writing for Sports Illustrated. How nice was that? Thanks Hal for doing this interview. Lots of good reading! Jodi at age 42 is the fastest Ujena model currently. She is originally from Winnipeg, Canada, but migrated to California in 2004 to continue her modeling career. In 2005 Jodi was signed on with a Skin Care company as a spokes model, but upon finding out about her education they offered her a sales position. Eight years later Jodi is not only the TV Shopping Channel personality for the company, she is also VP of Sales. It isn’t uncommon for Jodi to be in the office at 4:30 am and then catch a 7:00 am flight to do live shows for 24 hours in a row on the shopping channel, and head right back to the office to take care of business. Although she is busy, Jodi finds time to do what she loves! In 2011 she reconnected with her friends at Ujena Swimwear and caught the running bug again. Putting in an average of 20-25 miles a week Jodi is quickly getting her legs back and her goal is to become a national class runner for her age group. Jodi you are one busy woman...and you are still able to get in 25 miles per week. Love the interview!!! Have a good race on Saturday Michael. We are excited to have you part of our Ujena Fit Club. Good luck on Saturday and take it all in. What an honor to be running in the Olympic Trials. Joe Henderson began his magazine career in 1967 with Track & Field News. He continued as editor of Runner's World (1970-77), then as a columnist for the magazine most of the years through 2004. That year he began writing for Marathon & Beyond magazine. He has written or co-authored 30 books. Most recent are his three e-book memoirs – Starting Lines, Going Far and Running Home. Born in 1943, Joe grew up in Iowa, where he began running races at age 14 and won several state high school titles. He competed in track and cross-country at Drake University in Des Moines, and later graduated to distances as long as 70 miles. 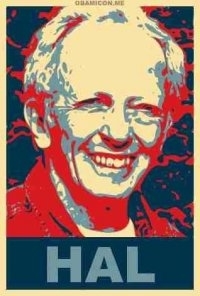 For decades Joe spoke regularly to running groups throughout the U.S. and Canada. 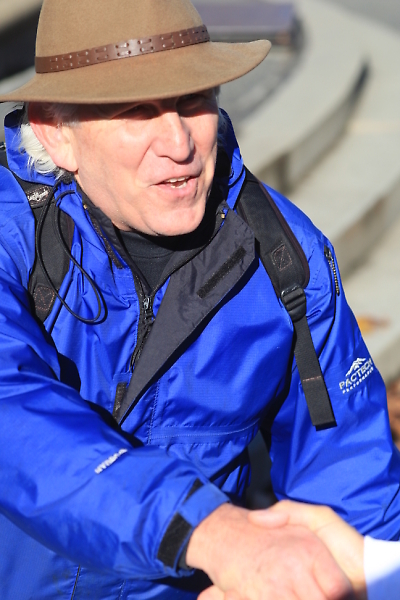 He has taught classes at the University of Oregon since 1986, first in journalism and now running. He also coaches a marathon training team. 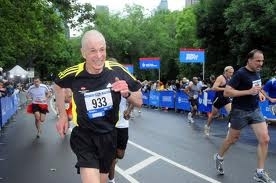 Photo: Joe finishing a marathon after a long "retirement." Thanks again Joe for doing this interview. Can you believe it...we have known each other for 43 years! It does seem like forever on one hand but then it doesn't on the other. You have done so much for running and you deserve a BIG THANK YOU! What a great interview about someone who has meant so much to the world of running. Thanks Joe. Aging ever so gracefully at age 59 and forging a career record that becomes ever more impressive, Sharon Vos is named Ujena Fit Club Female Runner of the Year still again. For the third year in a row, the Ujena Fit Club Female Runner of the Year is Sharon Vos of Greenwich, Conn., one of the Rouse triplets (their maiden name) – Shelley, Honor and Sharon – who have run faster in the marathon than any triplets in history. Clearly, three is a number of more than passing significance to Sharon, and winning the Ujena Fit Club Runner of the Year award for the third year in a row is getting to be a habit – a very nice one! – as is her long-term involvement in running and racing. 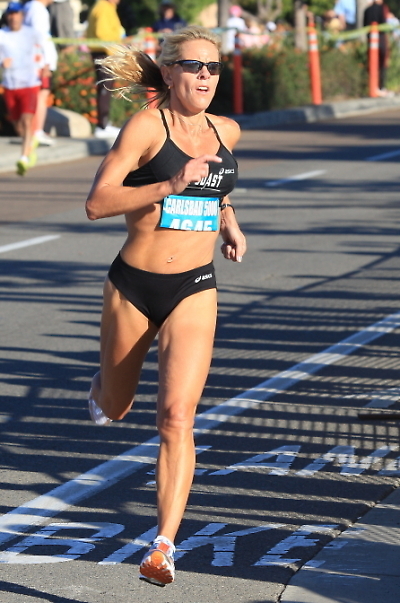 In 2013 Sharon ran 33 races totaling 284 miles in distance, which gave her 23,038 points based on the formula used for the Ujena Fit Club men’s and women’s rankings – 100 points for each race posted (with finish time included), 20 points for each mile raced, and performance points – from 300 down to one – for any and all age-graded percentages ranking in the top 300 for the year! Congrats Sharon on three in a row. Ujena Fit Club Female runner of the year (2013). You are amazing. Congrats! Julius Koskei (pronounced Kos-kay), who set the current world record in the Double Road Race™ on August 11 in Indianapolis, Ind., running the 10K in 29:48 and the 5K in 14:43 for an aggregate time of 44:31:09, has some special things going for him as a runner – aside from the fact he trains very hard and runs very fast! The 5’5”, 130-pound distance star from Nyahururu, Kenya, located in the very center of the hotbed of Kenyan running, the Great Rift Valley, is a member of the Kalenjin tribe, which has produced more great runners by far than any other tribe in Kenya – Kip Keino, Ben Jipcho, Mike Boit, Henry Rono, Daniel Komen, Paul Tergat, Wilson Kipketer, Moses Kiptanui, Ezekiel Kimboi, Tegla Loroupe, Helen Kimaiyo, Peter Koech, Wesley Korir, Lorna Kiplagat, Wilson Kipsang … and not to forget, Julius’s older brother, James Koskei. James, who’s now 44, retired from competition two years ago. He was fifth in the IAAF World Cross-Country Championships, short course (4K), in 1999, won the 5000 in the World Cup the next year, and while he never represented Kenya in the Olympics, he ran in the Golden League meets from 1997 to 2000. After his track career ended, he competed as a road racer in America from 2001 to 2007 – he finished fourth in the 2007 Boston Marathon. 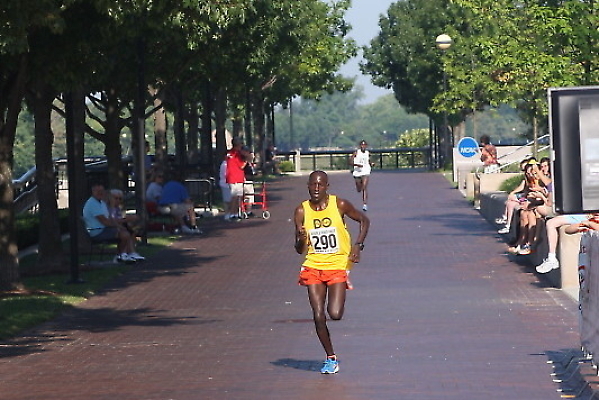 Meet the Double Road Race world record holder from Kenya...he ran 44:31 at the Indy Double August 11. Mybe next year i will be there too bob. Tina Kefalas has already earned a permanent place in Double Road Race history. She was the women’s winner at the Pleasanton Double last Dec. 23, the first Double ever held in America, setting a world record in the process. Now she’s been instrumental in exporting the Double to Europe – on Dec. 1 Tina and her associates in Greece will stage a Double Road Race™ in Marathon, Greece where this whole marathon thing began! Today in San Juan Bautista, the California native who represented Greece in the marathon at the 2012 Olympics in London, hopes to add to her growing legacy in the Double. When Tina set the women’s world record in Pleasanton, she ran the 10K in 35:55 and the 5K in 18:07 for an aggregate time of 54:03. However, she had been ill with the 24-hour flu the Monday before the race and was definitely not at full strength when she set that record. That’s how long it took Bob Schul to sprint the last 300 meters on a muddy track to overtake Michel Jazy and win the gold medal for the 5000 meters in the 1964 Tokyo Olympics. It remains the only time an American has won the Olympic gold medal in the 5000. Bob is going to be the guest of honor at the Indy Double Road Race in August 11. The 5000 meters in the Tokyo Olympics was run under miserable weather conditions – it was cold and dreary (51 degrees) with a steady rain falling. As the 12½-lap race unfolded, an American woman in her 50s sat in the stands, shivering and suffering through the inclement weather. Her son was Bob Schul, who that day would make history by winning the gold medal in that race with an electrifying finishing kick – the first and last time an American had taken the gold in the Olympic 5000 meters! We are honored to have the only American to win the gold medal in the 5000m at the Indy Double Road Race this Sunday...August 11th!!! Can't wait to meet you Bob Schul. Double Road Race Indy packet pick up with Bob Schul 3-6 PM Saturday! 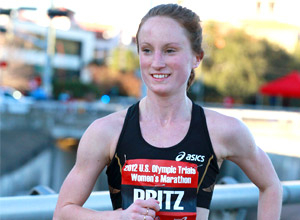 The transformation of Molly Pritz from science-nerd non-runner in high school to world-class distance runner after college is an amazing story. Will a world record in the Double Road Race be the next chapter in that story? The women’s world record in the Double Road Race is 54:03, held by Tina Kefalas, American citizen/Greek Olympian, who ran the 10K in 35:55 and the 5K in 18:07 in winning the women’s division at the Pleasanton Double. That mark may not long endure now that Molly Pritz, one of the top female runners in the US, has said “Deal me in!” to the Double. Molly ran 2:31:52 in the 2011 New York City Marathon at age 23 in her marathon debut! The first American to finish, she was ranked third nationally in the marathon that year by Running Times magazine and fourth in the marathon by Track & Field News. That same year she won the 25K national championship in Grand Rapids, Mich., with a time of 1:25:38. Last year she won the San Francisco Half-Marathon over a tough course in 1:10:45! She had run 1:11:05 for the half-marathon the previous year. Those times ranked her third in the country in both 2011 and 2012, plus her time of 1:12:14 in 2010 ranked her fourth in the country for that year. Is Molly going to be able to break the Double Road Race World Record in Overland Park? After reading this article by David Prokop, I think she has a good shot at it. Go for it Molly!!! And it’s not that the 58-year-old, happily married, mother of two grown daughters has been selected Ujena Fit Club Female Runner of the Year for the second year in a row. 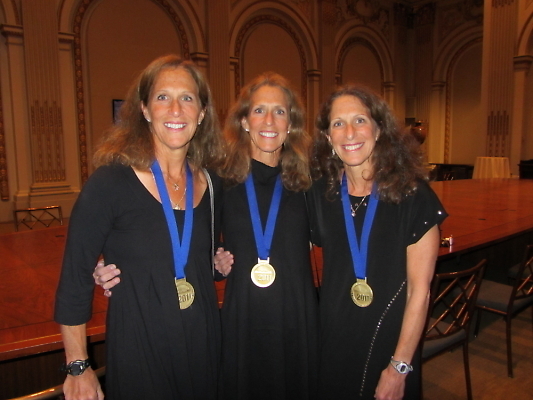 It’s not that she and her identical triplet sisters, Honor and Shelley, are the fastest triplets on the planet, at least in terms of the women’s marathon, and are in the Guinness Book of World Records for the fastest aggregate time by triplets in the women’s marathon. It’s not that she and her sisters had a father who was an Air Force General. It’s not that Sharon has been running competitively for 25 years, has run 39 marathons, with a best time of 2:57:32, and is a remarkably consistent, prolific runner who has solidly established herself as one of the best age-group runners in the country – and she’s in the same age group (55-59) as Olympic champion Joan Benoit Samuelson and Masters runner extraordinaire Christine Kennedy. Two years in a row...Ujena Female Runner of the Year. I can also tell you these triplets are all simply amazing...feel honored to know all three! Congrats Sharon!!!! Born and raised in beautiful Carmel, Calif., beside the blue Pacific (that’s why they call it Carmel by the Sea), Michelle Meyer ran track at Carmel High School, but didn’t go out for the track team when she attended Stanford University in Palo Alto, Calif. Stanford behind her now (she graduated in 2009 with a degree in Human Biology), she’s back to serious competitive running and is compiling some glittering credentials as a long-distance runner, while simultaneously studying to become a doctor! She’s a second-year medical student at UCSF (University of California at San Francisco). 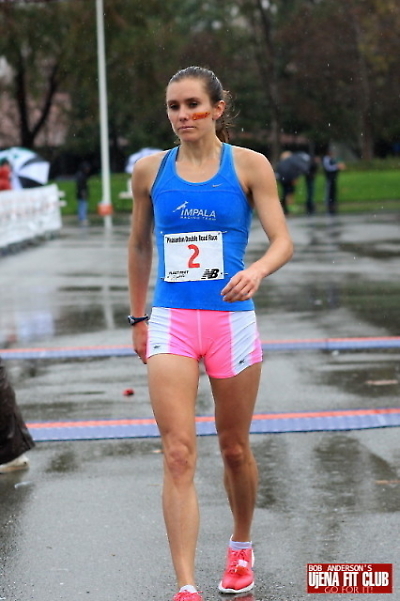 A lithe, slender runner (her mother was a ballet dancer), Michelle finished second overall, behind Tina Kefalas, among women in the Pleasanton Double Road Race™ with an aggregate time of 54:42. Both were under the previous world record. Here is how Michelle, who’s 25 years old, 5’7”, 115 pounds, and has personal bests of 17:21 for the 5K, 35:00 for the 10K, 59:26 for 10 miles, 1:16:53 for the half-marathon, and 2:43:57 for the marathon, described her experience in the Pleasanton Double. Still running and racing, marathon great Bill Rodgers will compete in the Pleasanton Double Dec. 23 on his 65th birthday. 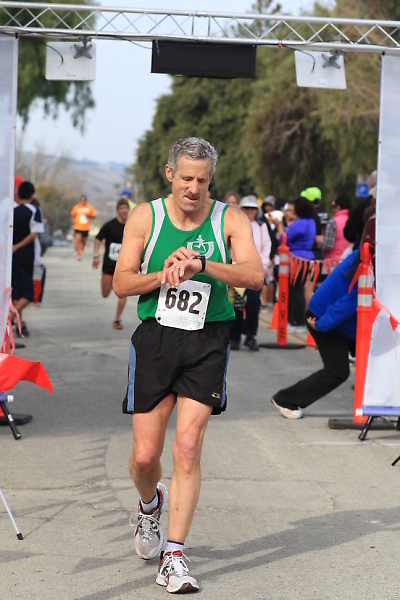 Competitors in the Pleasanton Double on Sunday, Dec. 23 will get a chance to share the road with legendary road runner Bill Rodgers, who, coincidentally, will celebrate his 65th birthday on that date. If you’re not particularly knowledgeable about sports history, take my word for it, this is huge! It’s like being on the same baseball diamond with Babe Ruth, the same football field with Joe Montana, or the same basketball court with Michael Jordan. Bill Rodgers, in his prime, was that good! In fact, based on his wall-to-wall record in road running, a strong case can be made that he had the most impressive career record of any American road racer in history – four-time winner of the Boston Marathon, four-time winner of the New York City Marathon. Need we go on? Great piece on Bill Rodgers. It is exciting that Bill will be out for the Double Road Race in Pleasanton 23! Really enjoyed this . Bill offered some encouragement before my first marathon in Indianapolis in 2011 (Indianaplis Monumental Marathon). 12/23 we will be in the same AG, if not in the same pace group. 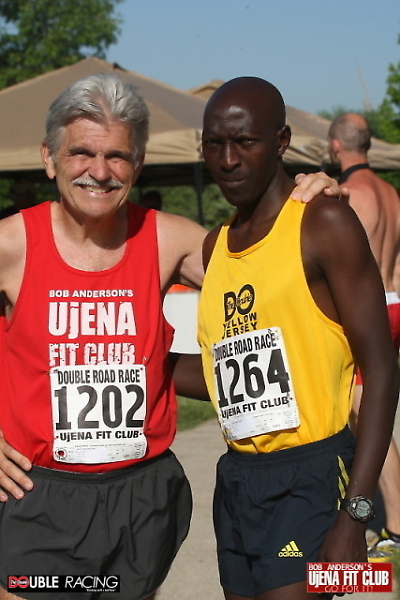 "we need to help each other to hit the roads"
Barry Anderson is our Ujena Fit Club first official coach. We thought it would be good for Barry to share with us some of his background information. Besides being a coach, Barry has ran a 4:20 mile and put in many 100 plus mile weeks. He has been around running all of his life. He lives with his wife Vicki in Manhattan, Kansas. 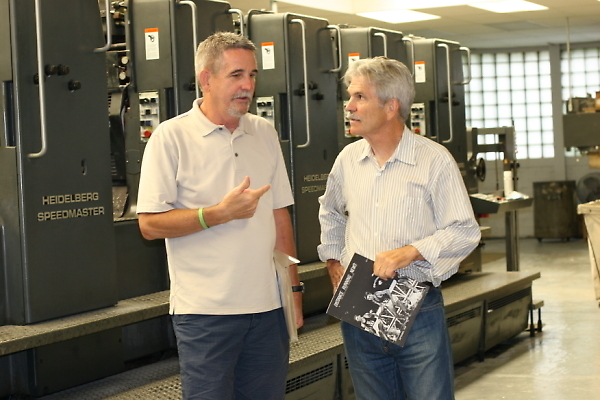 Photo: Barry and Bob in Manhattan recently visiting the printer that printed the first issues of Runner's World (Distance Running News). 1. Is it exciting being our first Ujena Fit Club Coach? I am honored, Bob asked me to help out with coaching tips that I hope our members will find useful—and some interesting or even motivational articles and stories. Yes, I am very excited to be able to share ideas to help others start a running program or to reach goals they have set for themselves. I really enjoy having you on our team. Your solid advice is helping me reach my 50 race goal...thanks! Thanks Bob. I have already been inspired by the enthusiasm that so many of our Ujena Fit Club members show in their posts. Hope to see even more start to post their workouts and thoughts on running. Am looking forward to helping in any way possible. "350 miles of running per week will NOT make anyone a great runner"
My first memories of Gerry Lindgren was in 1964 when he won the 10,000m race at the USA/USSR meet in Los Angeles while in high school. It was very inspiring for me. I had just started running and to see what was possible was very exciting. 1. What if you never found running? I was from a broken home. My father was alcoholic and my home life was a mess. I was brought up to know I was just a worthless person and I had attempted suicide twice before I found running. I am sure that had I not been rescued by running I would be either dead now or in some prison somewhere hating the world. Wow! what an inspiring story! thanks for sharing! Great interview. What an interesting guy. Gotta love his goal in life. "Many runners tell me quite simply I have the greatest job in the world"
Can you imagine being the chief running officer of Runner's World magazine? There is probably only about a million runners who would love to have such a title. But that title belongs to one man, Bart Yasso and he has held it since 1987. How does Bart feel about it? "Many runners tell me quite simply I have the greatest job in the world. I get to travel to races around the world and meet runners of all abilities many with amazing stories. For me running has also been a vehicle of introduction to people, places, cultures, and animals. I have run on all seven continents, but it's not the details of the races I recall it's the people I meet," Bart says. 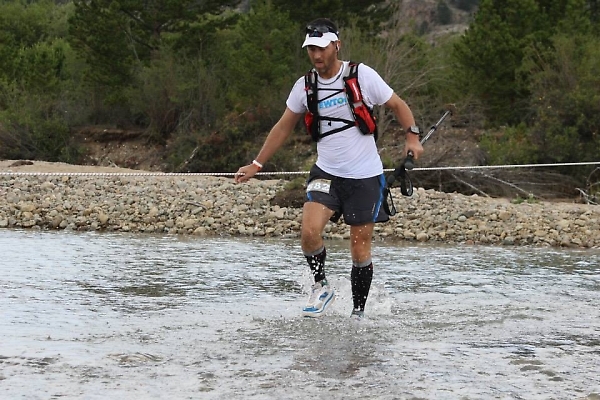 He is coaching thousands of marathon runners enrolled in the Runner's World Challenge. He has written a book "My Life on the Run." Bart was inducted into the Running USA Hall of Champions. He has run marathons worldwide – from Boston and New York to Antarctica and Mount Kilimanjaro, and at least one on all seven continents. He completed the Badwater in 1989 – at 146-miles running race considered the toughest run in the US. He also enjoy cycling and in fact he has completed two solo, unsupported bicycle rides across the US in 20 days, averaging 155 miles per day. "I am ruthless when it comes to doing what I love in life"
1. Do you hate the word jogging as much as I do? Firstly I never use the word hate as there are better words like loathe! I simply think it is a silly invented term for what should always be called running. If I see a slow runner or a fast runner they are all runners to me, just different speeds. Never do I assume a slow runner should be deemed a jogger and a faster jogger a runner. If you know what I mean (wry smirk)! Great Read..Verity is a balanced athlete and it shows..My kind of friend Wine and tequila.. Shoes and handbags? .Congratulations! 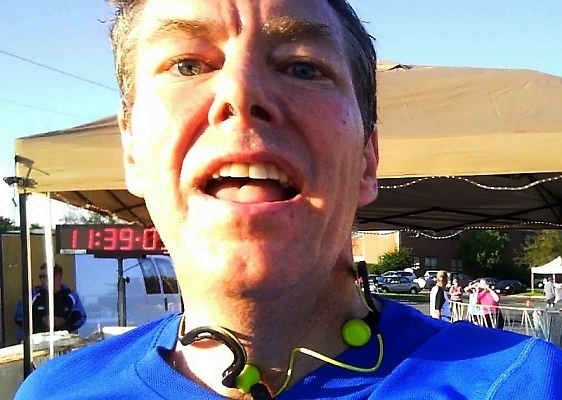 "I lost 150 pounds and then ran the Boston Marathon"
Roger Wright is not your typical runner. Growing up on a rural farm in Maine, Roger's only brush with running was when his father ran the Boston Marathon in 1968. He was seven-years-old. So impressed with his father's accomplishment, he made a vow to someday run in his footsteps and complete it himself. "Training" started a few days later and it lasted for about a month. A maximum distance of approximately a 1/2 mile was achieved before calling it quits. That would be the furthest distance he would ever run for the next 40 years. From childhood, Roger was always heavy, and as his age progressed, so did his weight. By the time he was in 7th grade, weight issues became a concern for his father who was a doctor and he started on the first of many failed diets. Beyond "gym" class, exercise was usually avoided and never enjoyed. By the time Roger enrolled in college, and the social activities that go with it, his weight broke the 200 pound barrier. Diets became a running joke with friends and weight watchers was more of a game than a real desire to change his life. After graduating from college in Texas, Roger moved back up to Massachusetts and began his professional career in the mortgage banking field, eventually owning a mortgage company with his brother for 16 years. Somehow he convinced a beautiful woman to go out with him and eventually Mary became his wife. During that period, work became a priority and 12 hour days were the norm. As expected, his weight blossomed and by the time he hit 40, his weight broke the 300 pound mark and stayed there for the next seven years. 1. Let’s go back in time. You live in Modesto, Ca. so how did you pick the island of Kauai for your race? My wife and I honeymooned there in 1990 and we went back about every year after. I always thought that island was the prettiest island I ever set foot on. In 1996 we bought a condo there. I’ve been running since I was 17 and I’m 47 now. I was okay in High School but never a real competitive runner. I’ve run about 30 miles a week for 30 years pretty consistently. It is interesting to read about what goes on behind the scenes in making an event happen. I look forward to running your half marathon. Thanks for the invite...see you in September! Great interview Jeff. Thanks for your committment to putting on an event that does so much for your community and has such a positive impact on the participants. Leaving in the morning to run Jeff's race on Sunday...can't wait! 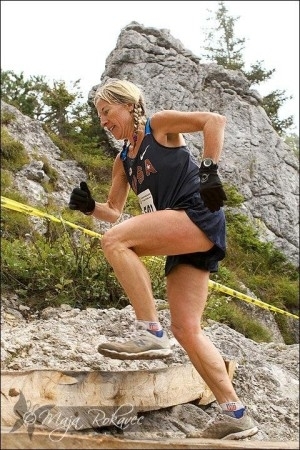 Nancy Hobbs is one of the key reasons why Trail running has exploded. Just 20 years ago there were less than 400 events and now there is close to 2000. Many companies are now investing in the sport while the media continue to publish more articles than ever. Nancy, from Colarado Springs, Colorado has been running trails and directing running events since the mid-80s. She is the coauthor of The Ultimate Guide to Trail Running and her articles and photographs have been published in magazines including Runner's World, Running Times, Trail Runner, and Ultrarunner. She is the founder and executive director of the All American Trail Running Association, a council member of the World Mountain Running Association, manager of the U.S. Mountain Running Team, and chairperson of the USATF Mountain Ultra Trail Council. She is a speaker/presenter to clubs and groups on trail running. Nancy serves as the membership and marketing director for Running USA. She is a competitive masters runner and hopes to earn a podium spot (top three finish) at the World Masters Mountain Running Championships this May in Germany. thanks Nancy and Bob for the great interview. lots of new organizations to look up. I love the freedom of trails. "Working at Runner's World helped my running Enormously"
Richard Benyo is the editor of Marathon & Beyond, a bimonthly magazine. He is the author of more than 20 books, most of them in the areas of fitness, health, and running. His newest running book is Timeless Running Wisdom. He was a newspaper editor (1968-72), editor of Stock Car Racing Magazine (1972-77), executive editor of Runner’s World Magazine (1977-84), and running and fitness columnist for the San Francisco Chronicle (1985-90). Rich is the veteran of 37 marathons and in 1989 along with running partner Tom Crawford, became the first maniacs to run from Badwater in Death Valley to the peak of Mt. Whitney and back, a distance of 300 miles. Rich is the president of the board and co-race director of the Napa Valley Marathon and has been on the board of directors since 1985. He is also the 1998 winner of the RRCA journalist of the year award. In early 2005 RunningUSA inducted Rich into its Hall of Champions. Rich and his wife Rhonda currently live in Forestville, Sonoma County, California; in their spare time, they are attempting to learn to sail on the San Francisco Bay.
" I Thank my lucky stars for the day I got bit by the running bug"
Mike Fanelli began running in his hometown of Philadelphia at the ripe young age of 12 and hasn't quit since. His running exploits include 98,245 lifetime miles and some 800+ races at distances ranging from 800 meters to 100 miles. Collegiately Mike competed in cross country and track & field while studying business at San Francisco State University. Post-collegiately he worked for 15 years in a variety of sports marketing capacities primarily with athletes in the athletic footwear industry. 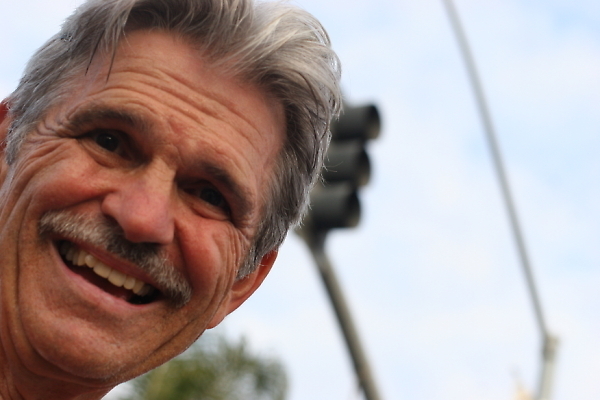 He has many years experience in broadcasting and spent nearly 25 years as "the voice of the Bay to Breakers." From a coaching standpoint Mike was influenced by Arthur Lydiard, Dr. Joe Vigil and other noted exercise physiologists and had the privilege of coaching numerous Olympic Trials qualifiers. He was a long time and very successful coach of the Impalas Racing Team. As a senior athlete today, Mike's affiliations include Tamalpa Runners, the Olympic Club, the Greater Philadelphia Track Club and the Haight Ashbury Ultra Society. Photo Above: Running the trails with my dog Baci. I am really enjoying doing these interviews. I have known Mike for many years and I just did not realize how much I didn't know. He has done so much. Great interview! Our Whole Life Was Running! 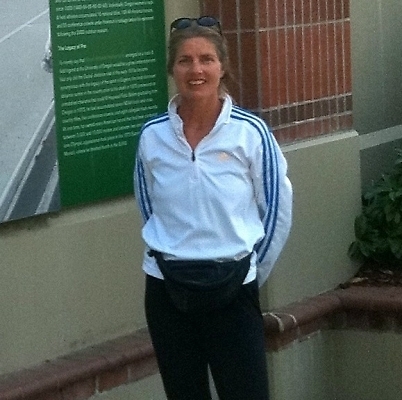 Mary Etta Boitano Blanchard, is a San Francisco native and started running long distances at the young age of four. She ran her first marathon at the age of five in Petaluma, CA. She continued running at San Francisco State obtaining a BSN degree in Nursing. Currently she coaches cross-country and track at Justin Siena High School. She enjoys running, training 60-70 mpw occasionally jumping into road races. She ran her first Dipsea when she was five. Her parents entered her as M. Boitano and she ran with a cap. She was supposed to be a boy. Women couldn't run distance races back then. At age 10 (in 1974) she ran a 3:01 marathon and won the Dipsea (it is a handicap race) and the Bay To Breakers (43:22) the same year as well as in 1975 and 1976. I can remember running a marathon in 1973 when at about the half way point a little girl caught me and passed me easily. I tired to stay with her (she was like nine years old) but she just kept pounding out the miles. It was the first and only time I ran against Mary Etta Boitano. Loved this interview! What an amazing story! Thanks for sharing! "I refuse to live a boring life"
1. When did you start running and why? I remember hearing a news story on the radio about this guy who just ran 52 marathons in 52 weeks and I was amazed. But I was even more amazed when I met Dane last September up in Oregon at a half marathon. He is a nice guy with tons of energy. Thanks Dane for sharing your thoughts with us. Mary Level Menton is a mother of three busy girls and have always enjoyed fitness and running. 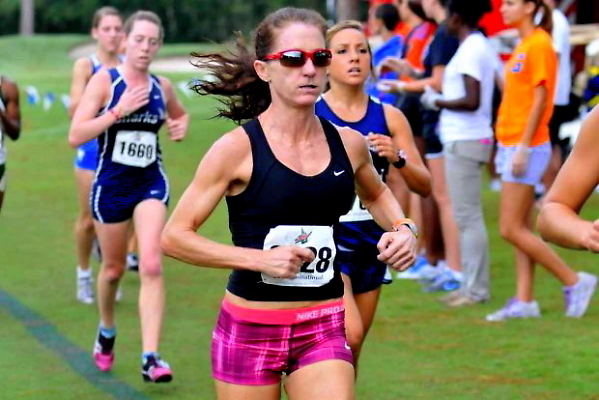 48-year-old Mary has ran competitively for years, have qualified for three Olympic trials and hold a number of road races records in Florida where she lives. Mary, you really do love running and racing...thanks for sharing your thoughts! 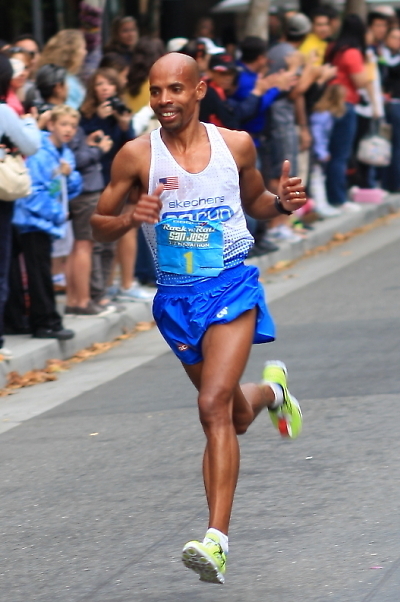 Good luck on Saturday Meb...it is going to be your race!!! Great story. Loved the bit about real people being inside TV's. Good luck on Saturday. We'll be watching! Way to go Meb...you pulled it off...you ran a smart race! Bob Anderson was a pretty good high school runner in his day. He dropped out of college to grow his running magazine. His cohort in this adventure was none other than Joe Henderson, who had been writing for Track & Field News at the time. I started reading Runner's World in 1973, and began working there in the summer of 1982. By this time, Runner's World was in it's first heyday. The magazine had grown from several thousand subscribers to nearly 400,000 by 1982." Great interview Bob! I always wanted to know the "inside" scoop about you and Runners World and this answered all my questions. 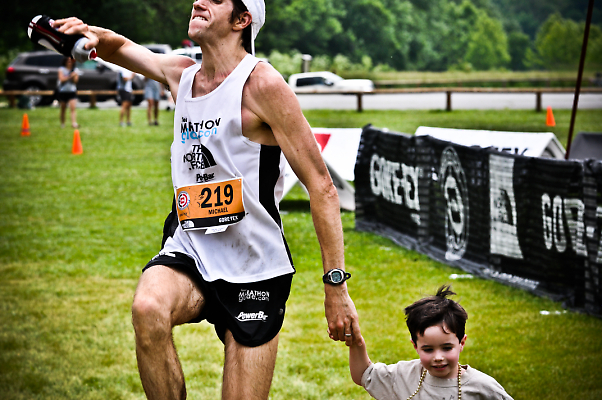 Your passion for the sport will be, without question, recognized as an integral part of running history. Thank you for your invaluable contribution to the sport and for your continual efforts to help improve the life of others. Really enjoyed reading about the history of Runner's World. It's a great story and you're an inspiration to the running world. Keep it going! Bob, great interview! Because I was close by back in the 70's and 80's, this brings back some memories. Thanks Rich...it was great seeing you yesterday in SF!